It has been a full circle experience for Jay Wilson, the latest recipient of the U of S Master Teacher award. Wilson, department head of curriculum studies in the College of Education, received the university's highest teaching award at spring convocation in June, and said he was lucky to be taught by past winners of the award. "I look at the list of names on the Master Teacher wall, and there are people there who taught me," he said, listing Robert Grogin, Angela Ward and Rick Schwier as those who inspired him. Besides now seeing his name alongside his mentors, Wilson feels a sense of accomplishment knowing that what he does meets the needs of his students and peers. "The word that I've been hiding behind is ‘validation,'" he said. "You never know if what you do is making a difference. What makes it different and special for me is that validation of something I hold near and dear is valued by other people." He said that puts pressure on him, but in a good way. "You can't hide in the weeds when you win a Master Teacher award." 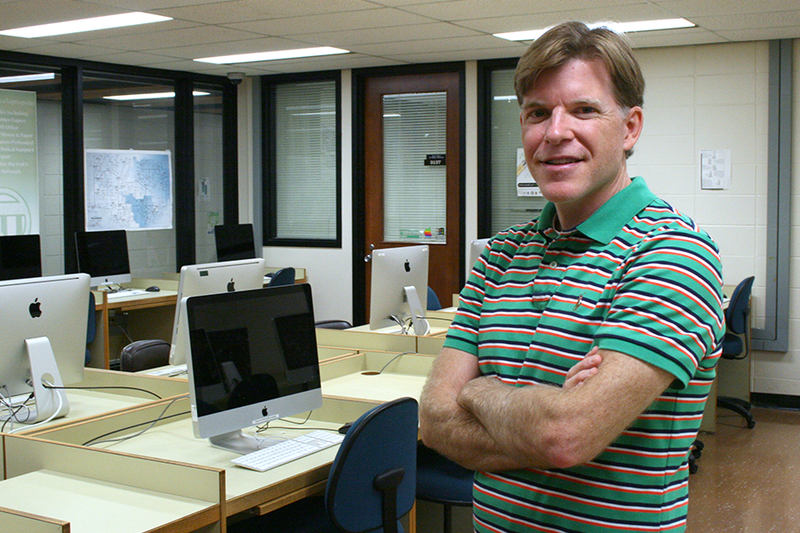 Wilson teaches both undergraduate and graduate courses, and has research interests in educational design, which involves creating and planning the best possible learning experience for students. "I use the term ‘throwing it into the wind,'" he said of the design process. "Sometimes it goes where we want, sometimes it gets blown back in our face. People don't think of designing instruction as exciting, but it is. It has evolved into that notion of how we carefully plan the learning experience for students." Another area of interest for Wilson is the application of technology in the classroom, and since 2011 he has shared his knowledge and passion in this area as an Apple Distinguished Educator. This global team of teachers and professors work with the Apple education team to influence design to make their products more effective learning tools. "We're not product testers but we are sharing our knowledge and they are incorporating that into some of the work that they're doing as far as design and accessibility," he said, adding that getting free Apple products, unfortunately, is not a perk of the job. Despite all the teaching accolades—including the Provost's Outstanding New Teacher Award—and affiliation with one of the world's biggest companies, Wilson knows how to keep his humility in check. "I still had to go and clean the litter boxes the day after the Master Teacher award ceremony," he said. "Those are the things that put life into perspective."